Tech at Night: Julius Genachowski out at FCC. Senate passes Sales Tax amendment. Ron Johnson on Cybersecurity. 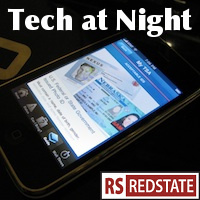 Tech at Night: Can we kill the Obamaphone? Beware comprehensive copyright reform. Tech at Night: The Internet Sales Tax roll call. Obamaphone survives. Do people care about Privacy? It’s not just Robert McDowell that’s moving on from FCC. Julius Genachowski is, too, and while Genachowski hasn’t been very good at all, we could have done worse. Just look at NLRB. Let’s hope we don’t do worse after all with his successor. Another big story is the Senate’s passage of the budget amendment incorporating the interstate sales tax compact. Some are bothered by this, but I still say it’s the right thing to do unless you’re going to rewrite the sales tax laws in every state. And that isn’t happening because the prisoner’s dilemma is keeping any one state from going from a buyer-owes to a seller-owes sales tax model. Unimportant tech policy matters: criminalizing copyright even further. Leave it alone. Note that it’s the Obama administration pushing this. It’s clear Obama doesn’t take seriously at all the critics of the Aaron Swartz prosecution, when his administration wants to make even more felonies. Important tech policy matters: Foreign cybersecurity threats. House Republicans as well as Senators like Ron Johnson realize the President’s efforts to stem the foreign attacks have not been fruitful. At least NATO is trying.